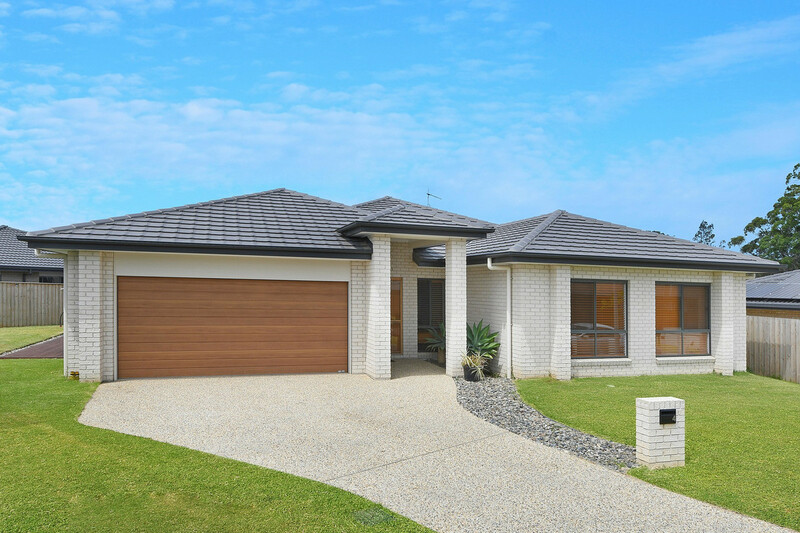 This beautiful, well-designed home with its top-end inclusions is ideal for your family. 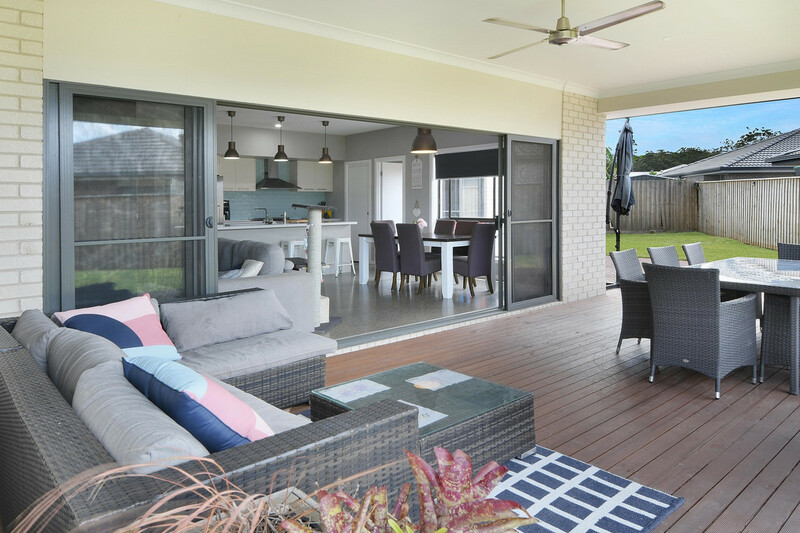 The spacious open-plan kitchen/meals/family area with its high ceilings and split system air conditioning/heating, opens onto a huge north-facing alfresco entertainment patio, which would be ideal for family celebrations or barbequing with friends. 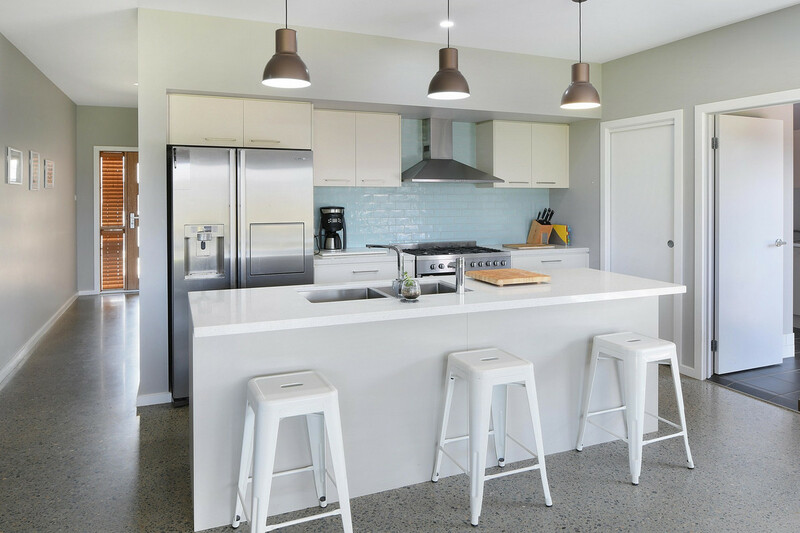 The kitchen features 900mm stainless steel appliances, stone benchtops, a boiling water tap, stunning polished concrete floors, copious storage, an island breakfast bar and a huge walk-in pantry. What more could the entertainer or home chef desire? There is also a media room, which could double as a quiet lounge retreat away from the family hub. The family bathroom has a separate wc, and is accessible both from the main rooms and from the second bedroom. All four bedrooms have fans and built-in wardrobes, but it’s the magnificent master retreat which deserves special mention. The master boasts a huge walk-in wardrobe and a resort-style en-suite with stylish floor-to-ceiling tiles, split-area design and an enticing oversized shower. It also accesses the patio-ideal for a relaxing glass of wine at the end of the day. 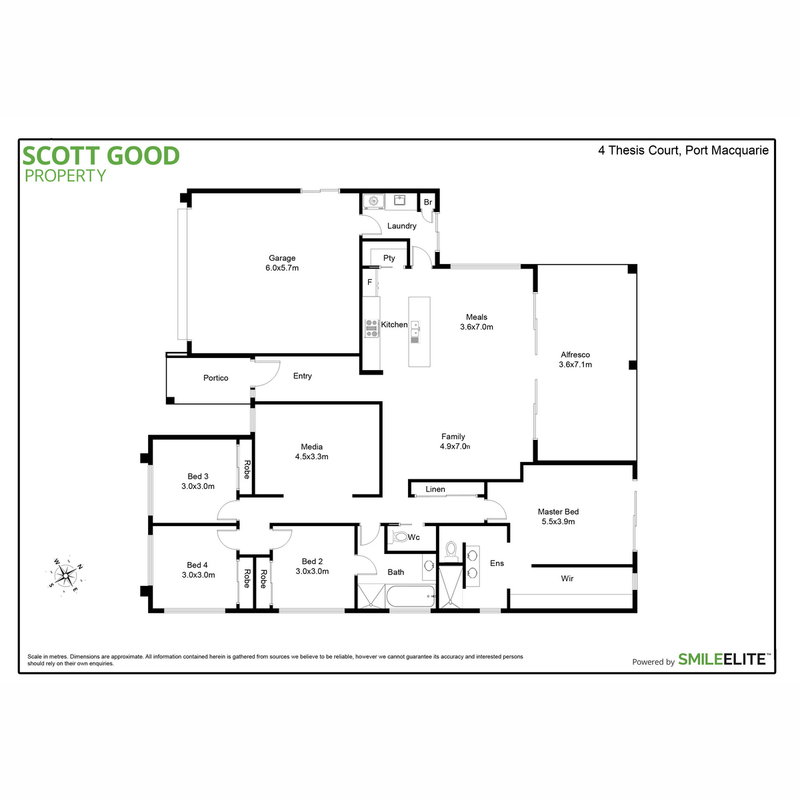 The double garage has internal access and plenty of storage space. 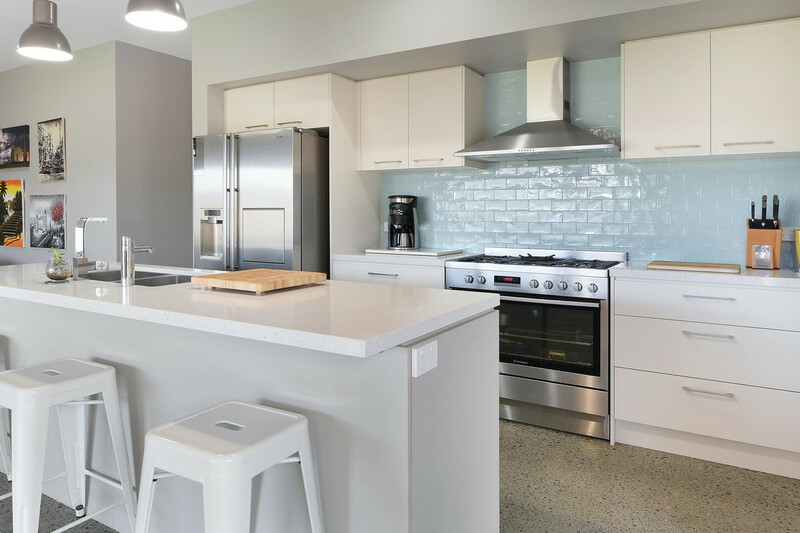 The gently sloping, easy-to-maintain block is a mere 50 metres from beautiful natural bushland, parkland and playground. It’s close to schools, shops and transport, and within walking distance of the much-anticipated Sovereign Hills town centre development. This desirable, growing, family-friendly community is NBN ready and is the ideal location for this immaculate, near-new brick home, which is still under warranty. Call to see your forever home today!